HomeAddictionWill You Lose Your Job If You Go to Rehab? Does FMLA cover drug rehab? In many cases, yes. In a perfect world, people suffering from addiction would have all the time and resources they needed for treatment. In the world we live in, however, we all have obligations, some of which can become obstacles to recovery. Work-related challenges are among the most common faced by addicts. Specifically, the fear of losing a job can be a major concern for addicts. If you’re in this position, here’s what you need to know about whether you will lose your job if you pursue drug rehab. In many cases, substance abuse may qualify — particular if treatment requires inpatient care and/or leads to prolonged incapacity for an extended period of time under the treatment of a healthcare provider. However, there are a few intricacies to the issue. For starters, employers don’t have to provide leave for the effects of drug abuse, such as an alcohol-induced hangover. Rather, only leave for treatment is covered. Furthermore, if you work for an employer with an established policy forbidding substance abuse, you could still potentially be fired — not for taking time off, but for the underlying substance abuse that necessitated the rehab. All this being said, policies vary depending on where you live and your place of work. 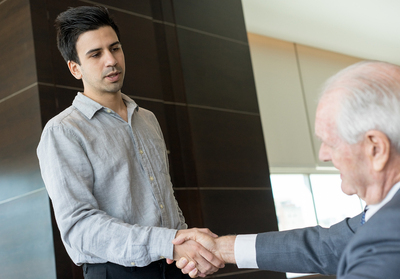 Talking to a local employment lawyer can offer a better understanding of your options. Regardless, it’s important to note that eligibility for FMLA does not mean you’ll get paid. This is entirely up to your employer, and the majority will not pay you during your time off. 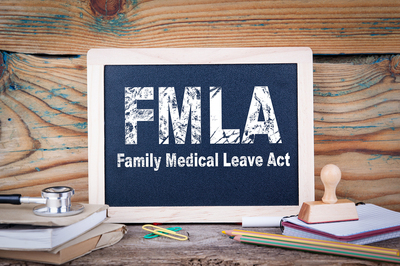 Prior notification is also necessary to qualify for FMLA. Lastly, the Americans with Disabilities Act (ADA) and the Mental Health Parity and Addictions Equity Act (MHPAEA) may also offer assistance to you, depending on your situation. As with FMLA, while disclosing an addiction to your employer may be difficult, it may also be imperative to securing the accommodations you need for treatment. Your employer is required by law to keep any such disclosures completely confidential. The takeaway? While there can be a stigma involved with drug abuse and treatment, adopting a proactive stance is key to moving forward with your life. Not only that but if your addiction is causing performance issues and interfering with your ability to do your job, you may well be on the path to termination anyway. Rather than waiting until you’re backed into this corner, an open and honest approach can lead to the best outcomes. Being upfront with your employer can help lay the groundwork for a successful return to work after the completion of rehab. This is not to say a rash disclosure is in order either. Instead, be sure to thoroughly review your employer’s drug and alcohol policies and/or consult with a lawyer if possible. Taking these steps can signify your seriousness about the issue to your employer while simultaneously ensuring that your best financial, professional, and personal interests are being met. To learn more about how St. Louis drug rehab center Harris House has been helping substance abusers overcome their addictions for half a century, contact us today.